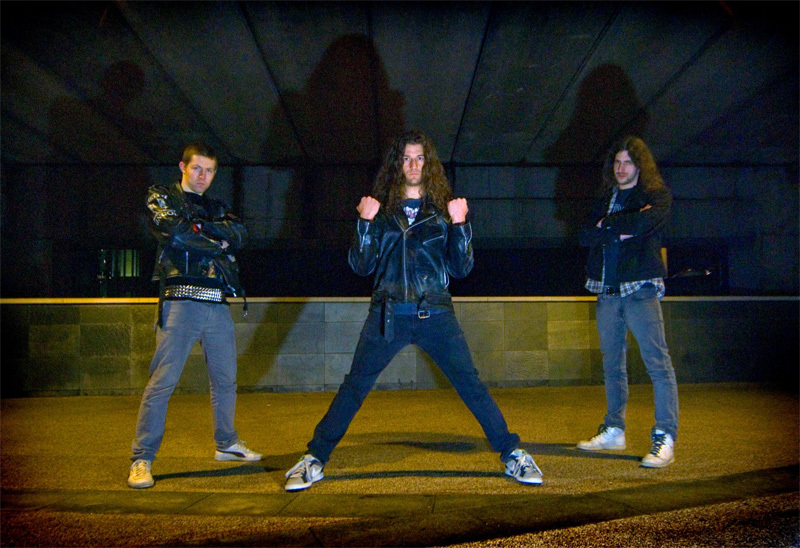 Quietly resurrecting early Eighties metal is England's Deceptor, releasing their second EP, Chains of Delusion through Shadow Kingdom Records. 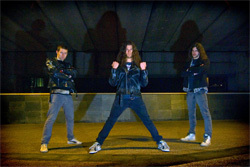 Deceptor flies the flag of traditional heavy metal infused with elements of speed and thrash metal. Deceptor:: but can he do a true split? This EP contains six songs, but that's a bit deceptive. (Pardon the pun.) Two of the songs, called Transmission I and II, are merely intro and segue. Actually, there's only four songs to consider here. But these four songs display both sound song composition and musicianship from Deceptor. They effectively, and effortlessly, blends those elements of traditional heavy, speed, and thrash metal in a rather impressive presentation. Indeed, the mixture is quite sophisticated, nearing progressive metal potential, notable on Oblivion's Call and To Know Infinity, by example. The weak points, however, are obvious. First, they could have offered two more songs in place of the aforementioned intro and segue. Having done that, they could have added two or three more songs giving us a complete long player. Second, while there is clarity in the mix (for instance, you can hear the bass line throughout), the overall sound is soft, even muted. Nevertheless, if played loud(er), which I highly recommend, Chains of Delusion satisfies. This truly an excellent hybrid of heavy, speed, and thrash metal. As Shadow Kingdom owner Tim McGrogan mentions in his PR material, Deceptor leaves you wanting more. Hopefully, we'll get more, in the form of a full length LP, in the future. Easily recommended. With Chains of Delusion, Deceptor effectively, and effortlessly, blends those elements of traditional heavy, speed, and thrash metal in a rather impressive presentation.